Only a day before 18 May, there was almost no hope that the different Somaliland clans would ever after co-exist in peace. Tensions were so high, there was high probability that an intractable ethnic war would start. As Somali clans live side by side in most instances, such an all engulfing war would have spread like wild fire in all over the Horn region unless a stopping mechanism was invented in time. Siad Barre had already fled Somalia back in January, and his defeated army had mostly taken refuge in the neighboring Puntland region of Somalia and among their respective clans. The victorious SNM fighters, who were then boiling with rage, were determined to pursue the villains and get them where ever they hid to avenge their dead. The Somalilander elders fortuitously seized the opportunity and decided to re-install the one thing that had formerly held all Somaliland clans together: The former sovereign state of Somaliland. When on 18 May, 1991, the all inclusive clan elders Burao peace conference proclaimed the independence of the Republic of Somaliland, it was followed by a general amnesty for all clans with immediate effect. Tensions subsided on the spot. Nothing less could have saved the day. The elders made a solemn declaration to cut Somaliland off Somalia and not to renege on the peace accord. If such a serious decision was not made, the SNM, by then the only organized war machine, would have continued its war against the Siad Barre supporters anywhere in the Somali inhabited territories in the Horn. The war could have spread beyond Somaliland and Somalia to the neighboring countries of Kenya, Ethiopia and Djibouti. Contrary to all expectations, the SNM heeded the decision of the elders to cut off Somaliland from Somalia and agreed to demobilize itself. It handed back the reins of power to the traditional all-inclusive elders' council. This event has become unprecedented anywhere in Africa, where victorious liberation movements always clung to power causing more serious problems than they set out to solve. A democratically elected government replaced a two ear (1991-1993) transitory government at the subsequent Borama Peace Conference in 1993. The latter conference completed the Somalilandization process of Somaliland. It created a non-tribal microcosm Somaliland state legally boxed in the formerly internationally recognized boundaries of the Somaliland British Protectorate. By design or by default, the Borama conference elected Hon Mohamed Haji Ibrahim Egal, a veteran politician as head of state. 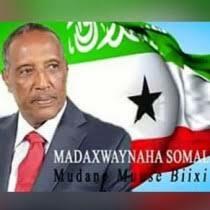 Mr. Egal happened to be the former leader of the sovereign state of Somaliland before its union with Somalia in 1960. Almost all the clans recognized him as a national leader who could sail them through the crucial period of clans re-adjustment to each other after a long period of hostility. He was a living symbol of a formerly shared Somaliland. Mr. Egal's election symbolized the days before the union with Somalia when all clans of Somaliland lived in peace with each other. 18 May has proved to be a win-win event and should be equally celebrated by all Somalilanders. Despite some outstanding differences here and there between the people of Somaliland in some regions, 18 May, 1991 should be remembered as the day that has saved everyone from a destructive war. May 18th signifies the importance of resolving local differences by dialogue not by war. Most of all, it dictates that commonly owned matters should be protected in common from all outsiders even if they are blood relations, lest we all go down the drain. Peaceful co-existence pays off.